Thrill of the Chase is the mouse in the house that every cat lover wants to have running around. 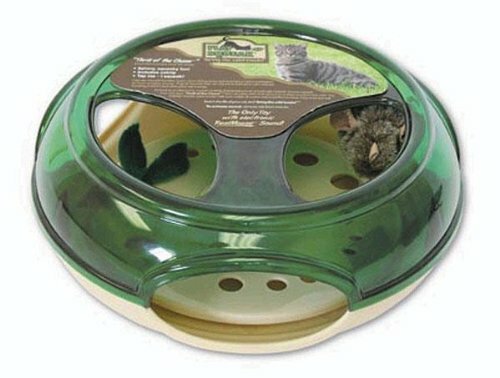 This interactive cat toy allows feisty felines to engage in a game of 'cat and mouse' that will provide both physical and mental stimulation. Cats will spend hours batting and swiping at the realistic mouse that comes with this toy. Once the mouse it hit, it will spin around and around which will encourage most cats to jump, pounce, and continue stalking their new found prey.